Bond Destruction Affidavit from the Chase National Bank Trust Department issued in 1935. 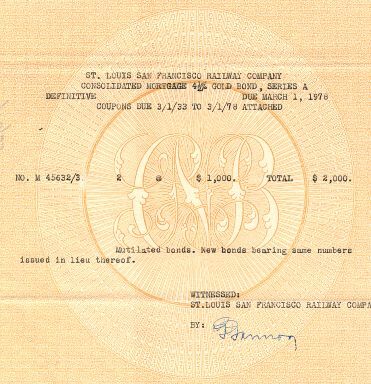 The certificates creamated were Gold Bonds from the St. Louis San Francisco Railway Company. 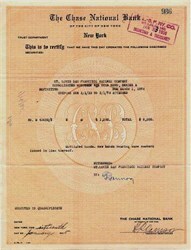 This historic document was printed by Chase National Bank is handsigned and over 73 years old.